Scheduling a shoot or scouting for a perfect location in the Salt Lake City region? 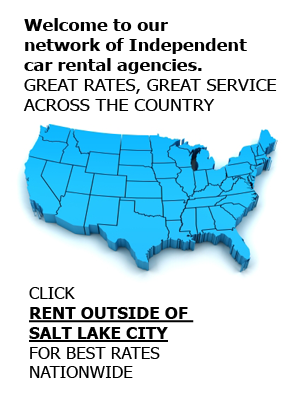 Come to Affordable Rent-A-Car And Sales for one of Utah’s largest and most diverse selections of rental vehicles, including vans, SUVs, trucks and car rentals. Production crews come to us for our affordable prices on everything from 15 passenger van rentals to SUV rentals in Salt Lake City, as well as our excellent customer service. Join them by contacting us at (801) 266-7368, or submitting an online request for a production vehicle. The versatility of a van rental is something to behold, and the space it offers is exceptional. For those set designers, you’ll be glad to know our cargo vans are perfect for moving set pieces and furniture from location to location in no time. For those dealing with cast and crew scheduling, a 15 passenger van rental can move them around just as speedily. Fill the seats with extras, and let them bring some life to the screen. Location scouts will enjoy the comfortable seating, new amenities, and valuable storage space of an SUV during their adventures out in SLC. Finding that picturesque view of a single tree on a hill, or the lonely bench in a park, or any other scene-setting locale can be difficult, so make sure you have something comfortable to turn to in your time of need. We also have add-on racks so you can store your extra gear and equipment on your search. Those who manage the talent during a film shoot can expect our RV rentals to have everything they need, and more. Your staff, crew, and stars can relax and recharge between scenes in the privacy of their own trailer. RV rentals from Affordable Rent-A-Car are also great for stationary makeup areas, dressing rooms, and crew lounges. Have a Film Screening or Shoot? Each vehicle in our rental fleet can be rented by production companies for their filming needs. We have a large variety to choose from, and even offer shuttle service, airport car rental pickup and drop-offs, and used vehicle sales. Let us know how we can best serve you by contacting us at (801) 266-7368 with a list of your necessities in a production rental.